Move over Temple Of Dendur: You'll soon have competition for status of most selfie-ready, ancient ruin in New York. 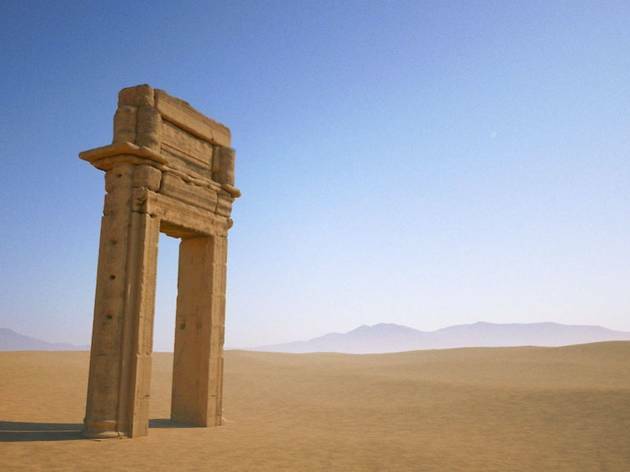 On September 19th, the Institute for Digital Archeology will be bringing a full-scale replica of Arch of Palmyra to Gotham at a yet-to-be announced location. The original version of this fine example of Roman-era monumental architecture was wantonly destroyed last year by ISIS in the Syrian city from which it got its name. 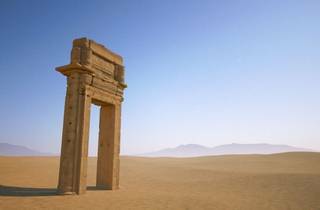 Built sometime between the late-2nd and early-3rd centuries, the Arch was adjacent a temple complex dedicated to the Semitic god Baal (also destroyed with the Arch). Its full-scale copy rises to 20 feet and weighs in at 12 tons, and was carved from Egyptian marble by robots programmed with 3D renderings compiled from scanned photos of the Arch in better days. Since April, the Arch has been wowing crowds in London’s Trafalgar Square. It's likely to be sited in a similarly central spot in New York like Times Square, or, well, Central Park. Wherever the Arch lands, expect to see tons of photos of it on Facebook and Instagram.